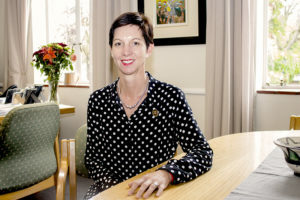 Dr Colleen Vassiliou has recently been named College Head of Kingswood College and begins her tenure at the start of the school’s 125th year. Her predecessor – Jon Trafford – has moved to head up the newly formed Kingswood Foundation which has the future sustainability of the College as its core focus. We met Dr Vassiliou and put some questions to her. What’s your background and how did you end up in this role? I never planned on becoming a College Head, it just unfolded and to be honest, it feels so right. It aligns with my own interest of shaping dynamic educational spheres into schools that build character and grow leaders. I started my career as a maths teacher and then continued my studies pursuing a career in Psychology and obtaining my PhD in Counselling Psychology. I then headed up the Counselling Centre as Rhodes University and moved on to fill the role as acting Dean of Students and later Director of Student Affairs. I then stepped out of tertiary education back into the schooling sector and took on the position as Organisational and Human Development Specialist at Kingswood College. My interest lies in shifting paradigms in education with specific interest in positive education, positive psychology and character development. This allowed me the opportunity to fulfil the role of drafting the Strategic Plan for the College for 2018-2020 and get a great helicopter view of Kingswood. We must ask the gender question – as the first woman to be appointed College Head at Kingswood – what took the College so long? I trust individuals are appointed based on their ‘fit’ for the position, and I hope I’m the right person for the job and not just appointed based on the fact that it is ground breaking to appoint a female. But I do feel blessed to be the first female in this role, as pupils need role models from all walks of life. What has the response been from the school community? Incredibly positive. Pupils, staff, Old Kingswoodians and parents have been so supportive. My favourite story is when the announcement was made and I received a sms from a senior school boy to say, ‘Dr V my parents have just told me the good news, I think this is so cool’. Kingswood turns 125 years this year – how does an institution with that much history achieve such longevity and still remain relevant in a modern society? Past achievement is often a good predictor of future achievement, I value what has been achieved in the College over the past 125 years and our future success has to be rooted in the values and traditions that we have cultivated. As part of developing our strategy we recently went through a deep introspection around how we deliver on our vision of ‘Educating for Life’. We analysed what skills need to be nurtured in today’s learners so they can stand out from the crowd and thrive in our complex society. And so we shifted our focus to Innovation, Creativity and Entrepreneurial practices (ICE) across everything we do. We believe pupils need to be exposed to solid entrepreneurial practices and we wish to have every pupil at Kingswood have the experience running a business. The fourth industrial revolution is the current and developing environment in which disruptive trends and technologies such as the Internet, robotics, virtual reality (VR) and artificial intelligence (AI) are changing the way we live and work. So at Kingswood we realise that embracing this is a necessity and we’re opening up this new world to our learners. But what also sets us apart and makes us relevant in a society like ours is that we focus on the fact that the road to happiness is not about material possessions or keeping up with the scientific revolution. We are a family school. What matters to us is people. Happiness comes from journeying with loved ones – this helps us achieve longevity. Given how competitive private schools are in attracting fee-paying learners, what are the things that, for you, give Kingswood an edge? As a co-educational school we pride ourselves in being a family school. Our overarching vision embraces the notion that, besides an IEB qualification, we equip pupils with other life skills that will assist them in navigating the complexities and challenges of life in the real world. Our character building curriculum is integrated into our academic curriculum and ensures that our pupils leave with character traits that will assist them in succeeding in this very competitive world. Traits such as cheerfulness, creativity and kindness are fostered in the pre-primary. We then foster emotional intelligence, gratitude and responsibility before, in the Intermediate phase, focusing on resilience, motivation, assertiveness and grit. In senior school we empower pupils with integrity, respect, confidence, compassion and resourcefulness. The pupils completing our bridging year will be introduced to the notion of interdependence. We are here to ensure pupils complete their schooling journey with an excellent education, but a part of that means equipping them with skills that are not only academic in nature but will help them cope with life outside of the classroom. We grow leaders. A Kingswood pupil is cheerful. Our motto ‘Studia Hilaritate Proveniunt’, states that in Cheerfulness is the success of our studies. The most common response from visitors to our beautiful campus is that our pupils are happy children. Our pupils are a transforming influence in society, embracing our Methodist Co-educational ethos, they are excellent in all areas, academic, sport and cultural but our emphasis is not on one of the three but on the character that needs to be fostered to achieve excellence in each area, this is what gives Kingswood College our competitive edge. Your focus seems to be on developing young leaders as well as introducing innovation into the classroom. How are you setting about doing this? We will be launching our leadership institute with our character building curriculum over the next few weeks. As a qualified psychologist I have been able to draft a curriculum that will be integrated into the academic curriculum and will form the cornerstone of our Leadership Institute which falls under the umbrella of our ICE (Innovation, creativity and entrepreneurship) umbrella. Have you encountered any resistance? We’ve taken our staff on the journey with us and they are exhilarated by the introduction of the concept of character building. Our ICE initiative was born last year, and so staff are well on the road to ensuring that the way we teach ICE is not only ground breaking, but integrated into every aspect of our educational business, namely, academic, sport and cultural. Is there space for private education in the South African school system? Doesn’t it just widen the gap between rich and poor? There is space for it but we need to be a part of the solution and not separate ourselves from the realities of our country. We can grow ethical leaders who can go into the community and ‘be the change you want to see in the world’. Running a co-educational school, particularly a boarding school, must come with some fairly unique challenges? I think all schools have challenges. I think the benefit of a co-educational school outweighs the challenges. The creation of a family school which mirrors the family environment at home is nurtured in a co-educational boarding environment. Makhanda is a challenging environment – particularly when it comes to water and electricity – for big institutions such as the schools and University. How does Kingswood respond to those challenges? Obviously operational challenges are inconvenient and frustrating but we can cope. 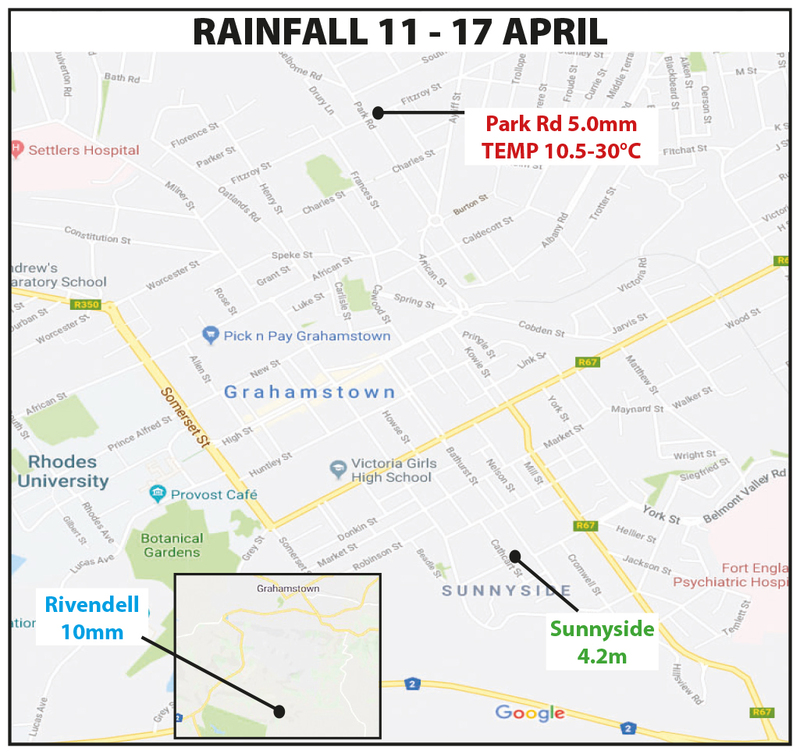 Grahamstown is a special place and an extraordinary environment in which to run an institution like Kingswood, and the benefits outweigh any day to day challenge our team faces. Climate change is a global issue and our pupils are discovering that there is so much – like water – that they cannot take for granted. And so we are embracing the opportunity to learn and teach that our whole community needs to be part of the solution. 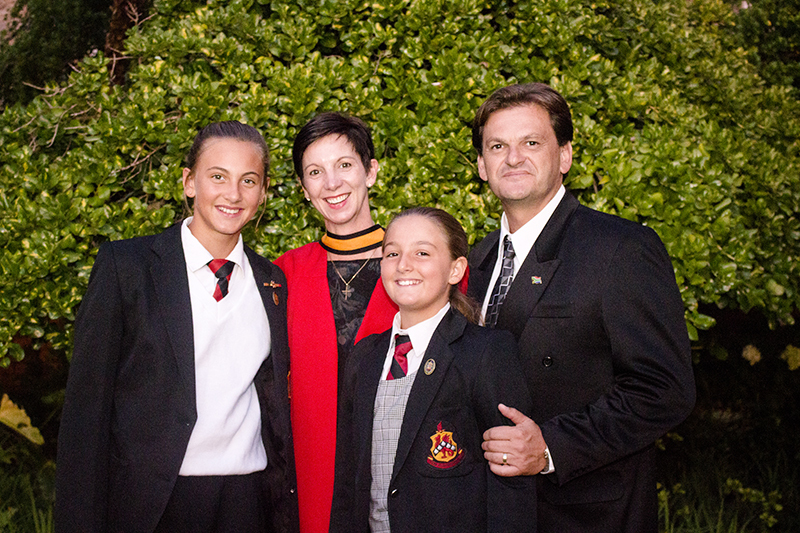 Dr Colleen Vassiliou was inducted as the new Kingswood College Head in a ceremony in the school’s chapel on Sunday 20 January. Dr Vassiliou is a Kingswood parent. 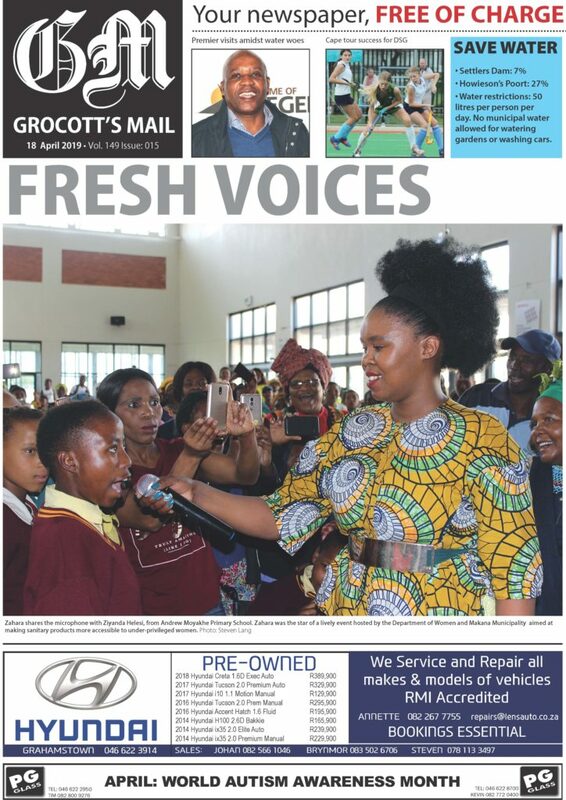 At High School level she was, inter alia, Head Girl of her school, attained Academic Honours and was named Matriculant of the Year. She was a member of her school’s first tennis team and played hockey for the Free State U19 A team. Dr Vassiliou started her professional career as a High School Mathematics teacher and subsequently worked in a number of important leadership positions. She obtained a PhD in Counselling Psychology and immediately prior to joining the Kingswood staff, she was Director of Student Affairs at Rhodes University. Dr Vassiliou joined Kingswood College in 2016, heading up the Human and Organisational Development portfolio in the school. She has a keen interest in positive psychology and wellness. She went on to draft the Kingswood 2018-2020 Strategic Plan and fulfilled the role of Operational Head in 2018.